I came across a link to this particular variant of Sailor Pro Gear Realo while browsing Twitter. I initially thought it was a Pilot Prera. I went back and forth with my decision. After all I do have another Sailor Pro Gear at home. Yes, this is a Realo, Sailor’s piston filler model but they are essentially the same pen are they not? I pulled the trigger in the end because I just love the aesthetic of the pen. It comes in a blue cardboard sleeve with a cutout right over the Sailor logo. The sleeve slides out to reveal the blue and grey Sailor box. This isn’t the clamshell type box that my Sailor Imperial Black came in. The top pulls of easily enough. I find my precious pen and a bottle of blue Sailor ink nestled among folds of satin like material. The box is nothing fancy but I appreciate the effort they put towards the packaging. This is a shop? exclusive Sailor Pro Gear Realo. Shumibun Club is not really a stationary store. They seem to be a stationary related magazine. 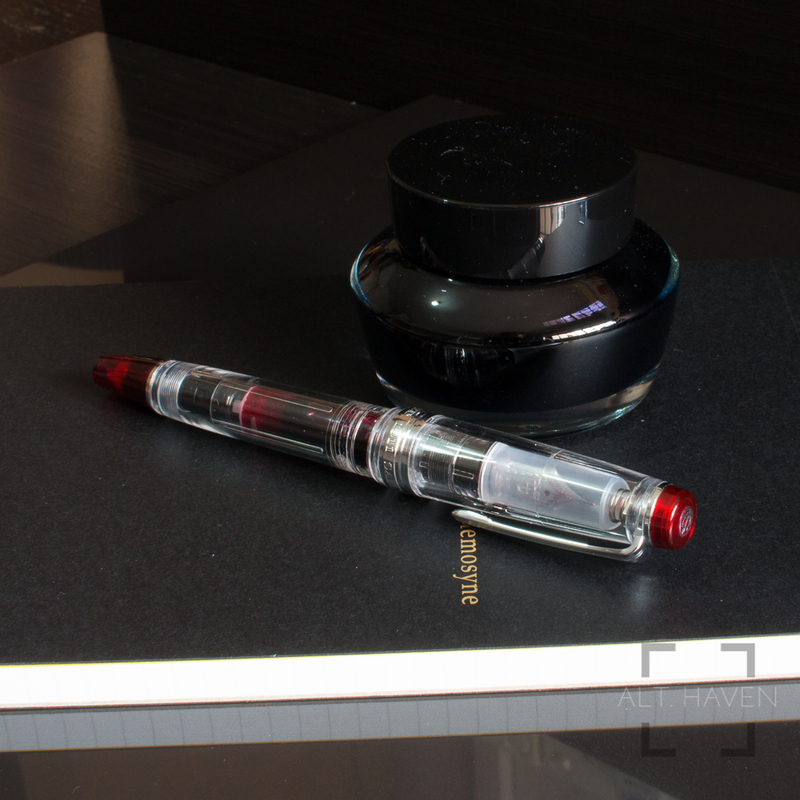 However, they do sell a number of fountain pens and fountain pen related products. If you are looking for this particular pen, you have to buy it from them. 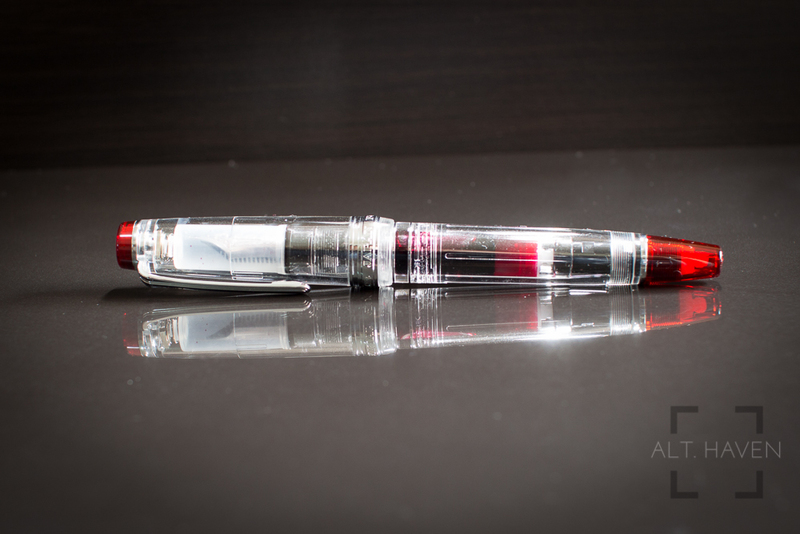 This particular Sailor Pro Gear Realo comes in three different colours. They are essentially the same pen with different colour accents. As I’ve mentioned about the Realo just means the pen is a piston filler instead of the standard cartridge converter type. Pro Gear just means it is the model with the flat ends while 1911 is the rounded ends model. 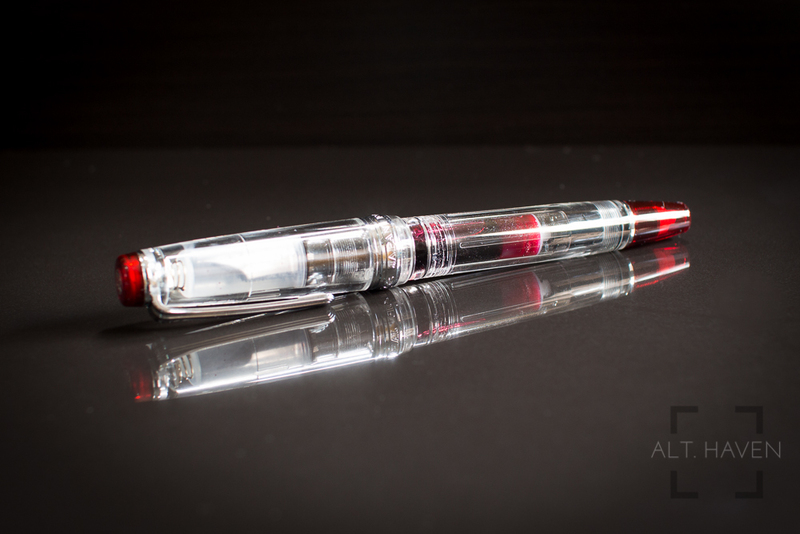 The Sailor Pro Gear Realo is a clear demonstrator with silver and red accents. 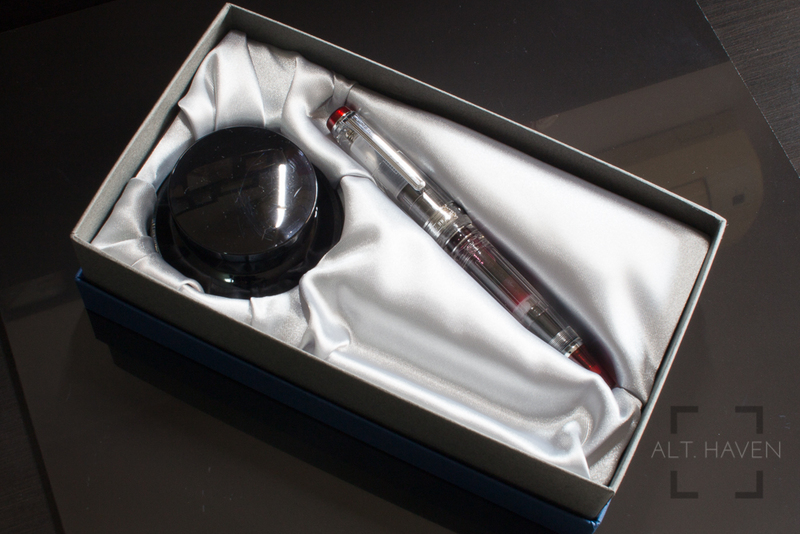 The pen is essentially made of resin, it is mostly transparent with its finial and the piston knob in red. The clip, centre band and the logo on the finial are silver. 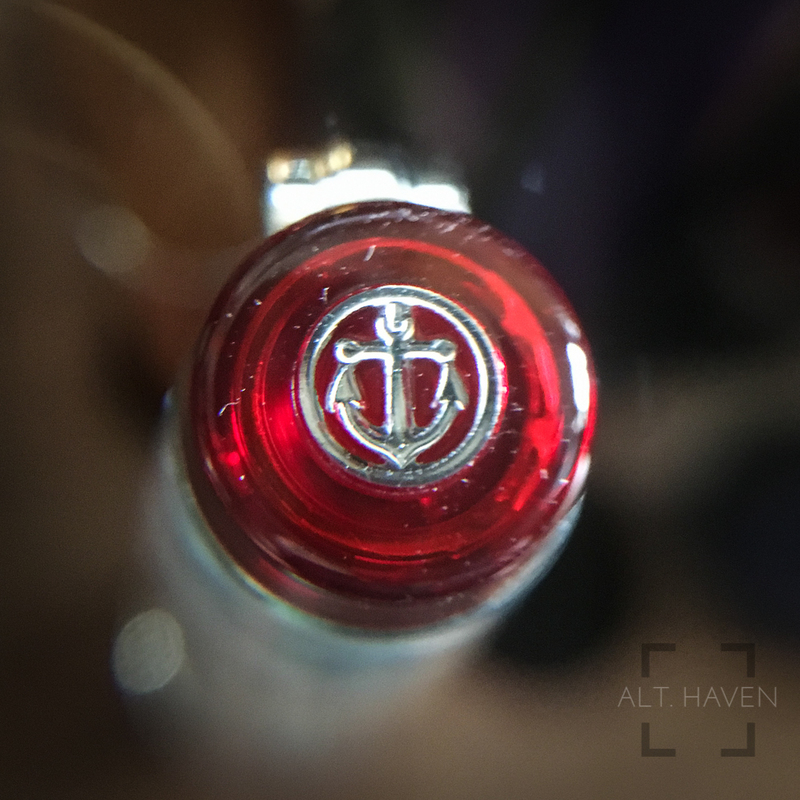 The silver Sailor logo stands out nicely against the red on the finial. The clip is the regular one that Sailor has on its pen. The centre band on the other hand is slightly narrower when compared to the Sailor Imperial Black’s. 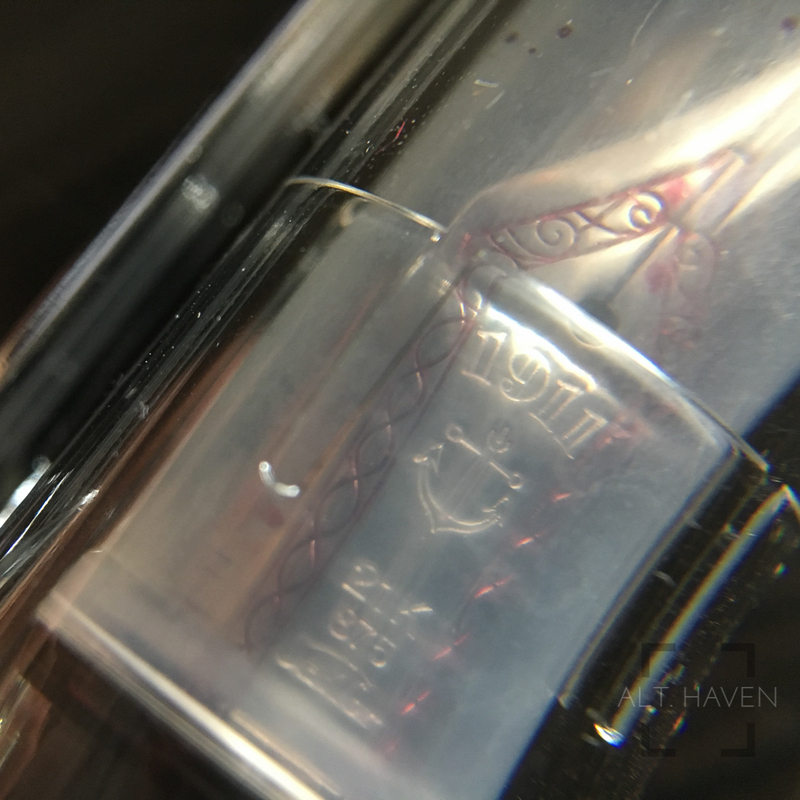 Inside the transparent cap, there is a translucent inner cap with a spring that attached to the inside of the cap. 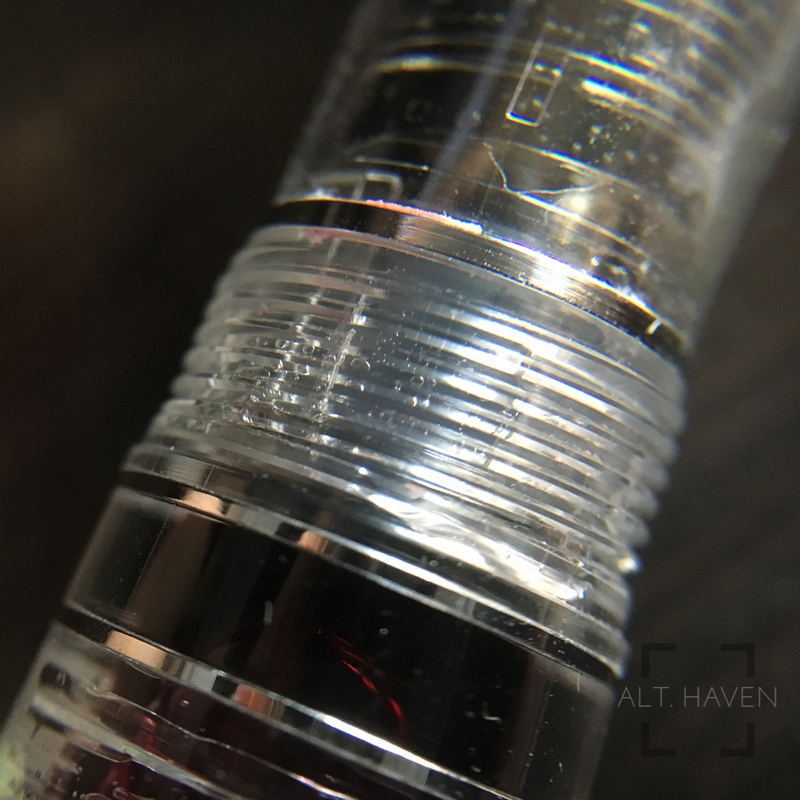 The inner cap seals just around the nib area. I wonder if this is Sailor version of Platinum’s slip and seal cap? They do look similar. However I must say it doesn’t look very good especially in a demonstrator. It takes 2 full revolutions to uncap the pen. Inside is a clean and slightly tapered grip section. The grip section is just right for my hand. The threads on the barrel is smooth, so writing with a higher grip should be problem free. The piston mechanism works easily up and down the barrel. In terms of overall length, the Realo is longer than the cartridge converter counterpart. This is probably due to the piston mechanism. The additional length doesn’t do much for people with larger hands. 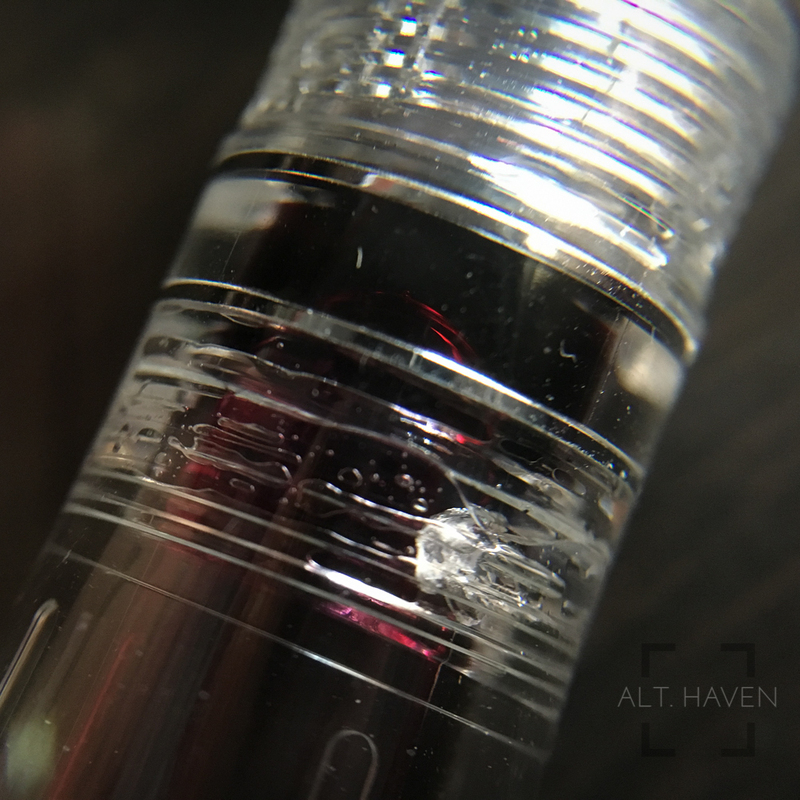 The regular Pro Gear fountain pen is a full size pen on the shorter end of things. The Realo version hardly any better in that regard. However the cap can be posted to extend the length for those with larger hands. I found the balance of the pen to be just right for me posted or unposted. One thing to note, the pen only comes in the F nib so there is no other options for those who prefer another nib size. The 21k nib is where I found the greatest difference between my Sailor Imperial Black. The Rhodium nib though it is labeled as a HF (hard fine) nib, I found it has more give than the one on my Sailor Imperial Black. That’s due to the plating on my Imperial Black’s nib. The nib that is on my Sailor Pro Gear Realo should be the standard writing experience that Sailor provides. It writes well but it is not a wet writer. Writing with this pen gives me a more cushioned experience and there is a slight hint of feedback. This is the better writing experience I have from a pen of my collection. Now comes the part about what I don’t like about the pen. So far everything you read about sounds all good. 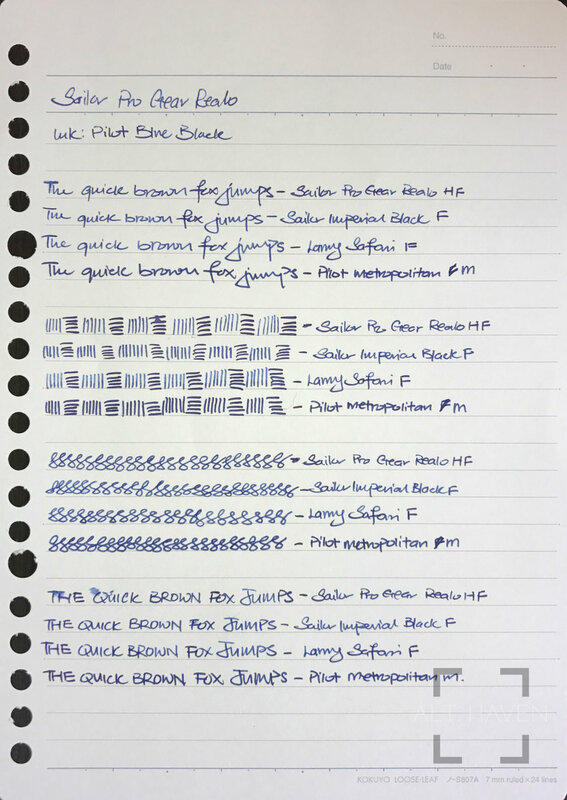 You might be all ready to buy the pen but you have to take note this next part before buying. 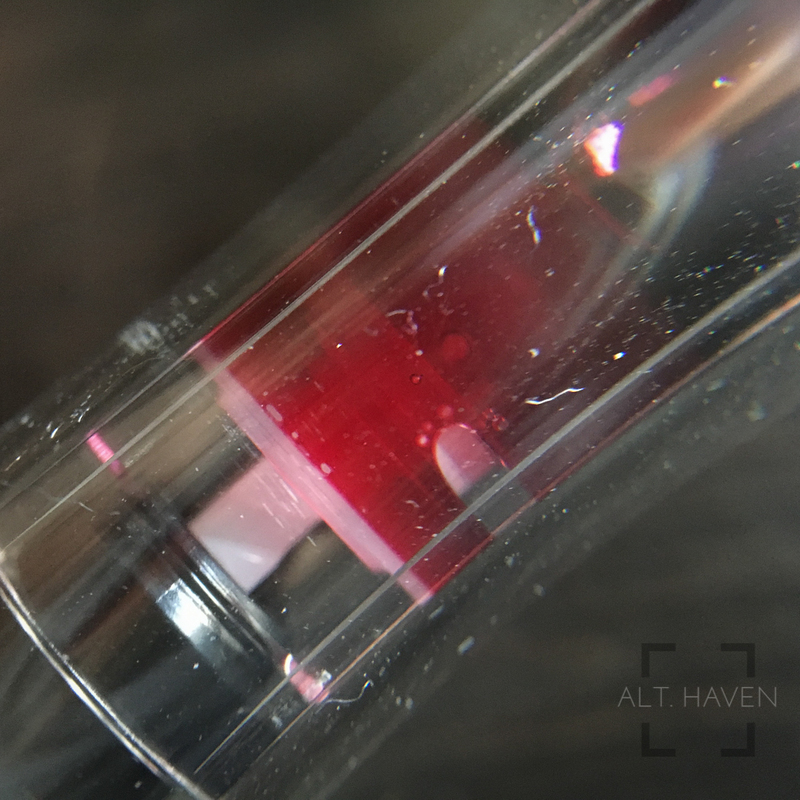 This is a demonstrator pen but all over the pen where are threads on the inside, there is traces of sealant dried in very obvious spots. It is not the best looking thing for a demonstrator pen. Yes, this is a purely aesthetic problem but half of the reason to buy a pen and an expensive one at that, is the way the pen looks. This is a disappointment for me. I’ve spoke to a local retailer and apparently this is something that the Japan market is able to accept but not anyone from the international market. I guess I’ve proven their point. For a Sailor pen, this isn’t the cheapest available. For a Sailor Pro Gear pen, this is still isn’t the most value for money model around. 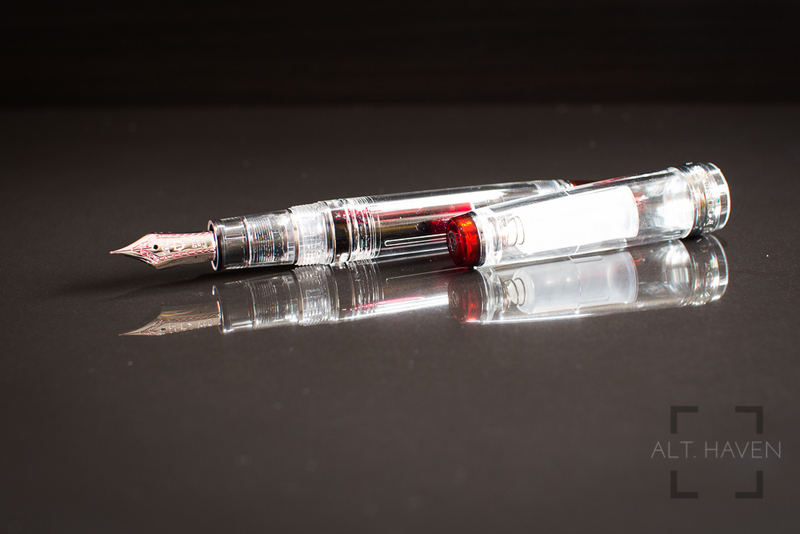 For a Sailor Pro Gear Realo pen, it still isn’t the most affordable one out there. However, if you love the look of the pen like I do, there is only the one out there. The sealant cosmetic issue is a disappointment but I can overlook them for the sake of the great writing experience. Since this is only available from Japan, I would suggest anyone interested to buy and ship it to a forwarder like Tenso. (No affiliates with the company, just passing on what I use.) That’s the company I used for all my Japan purchases if they don’t ship internationally. Some helpful words for those who are searching for Sailor pens in Japanese.